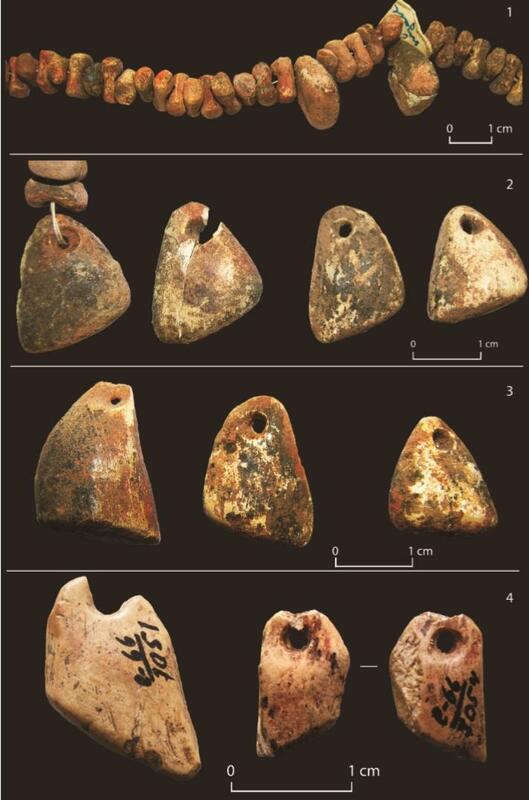 Vladislav Zhitenev, a Russian archaeologist from MSU, studied bone jewelry found at Sungir Upper Paleolithic site. A group led by Vladislav Zhitenev found out that many items were crafted specifically for burial purposes, while others were worn on a daily basis. The style of the jewelry was influenced by many cultures of Europe and the Russian Plain. The article was published in EPAUL 147. "This children's grave contains more adornments and other burial items than any other Upper Paleolithic burial site in Eurasia," – says Vladislav Zhitenev, the author of the study, doctor of historical sciences, and assistant professor of the Archaeology Department of the Faculty of History, MSU. Currently all findings are kept in the State Vladimir-Suzdal Museum Reserve. "When looking at an item, one can always see a master's hand. Many adornments from the burial sites of the man and the children were crafted in the same way, as if by the same person. Alternatively, this technique could have been passed within the family, say, from father to son or from grandmother to granddaughter," – explains Vladislav Zhitenev. Therefore, the man and the children were separated in time by no more than several dozen years.